The Kids Classic provides all the same features and benefits as the grownup style but sized for your little one. 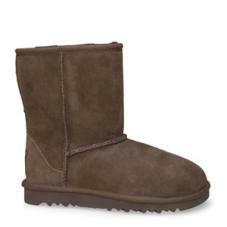 The lightweight EVA outsole and genuine Twinface sheepskin provides extra comfort for all day wear. This is the quintessential UGG® style for kids that will soon become their favorite.